In Japan, currently in a hotel in the middle of the Inland Sea, with giant tankers gliding past a backdrop of green, hilly islands, stretching back into the mists. 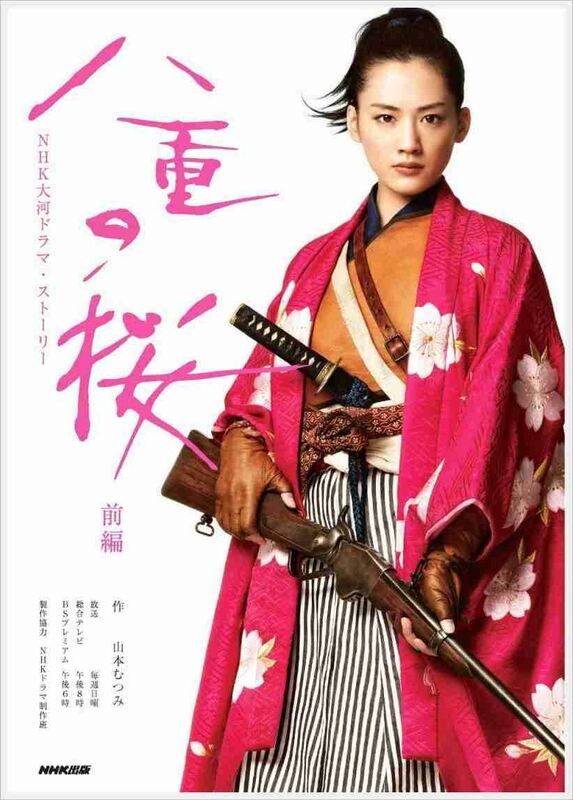 And because I’m been busy writing all year, I haven’t been following this year’s Sunday night taiga drama, Yae no Sakura, all about a gunsmith’s daughter from Aizu-Wakamatsu, who gets dragged into the Boshin War — the last gasp of the samurai. This is a topic I have written about twice already, as it was also a proving ground for a young Admiral Togo, and I’ve got all the materials assembled for another book about its end, called Samurai Republic, which I have yet to sell. But today it’s mainly an excuse to print a picture of Haruka Ayase with a gun, in her role as “the Bakumatsu Joan of Arc.” The titular Yae (Yaeko Yamamoto, a.k.a. Yae Niijima, 1845-1932) went on to become the first non-imperial woman to be decorated for service to her country, serving as a nurse in the Sino-Japanese and Russo-Japanese Wars. Then she helped found Doshisha University. Janet is a (reporter / photographer / traffic cop / nurse / princess / florist / teacher / stewardess / designer) who finds herself falling for John, who is a (detective / bail jumper / salaryman / architect / doctor / samurai / pilot / musician / student/ undercover alien / terrorist). After first meeting during a (wedding / crime investigation / blind date / robbery / swordfight), they initially fail to get on with each other, but are miraculously thrown back together by their (interfering parents / shared interest in an unlikely hobby / unexpected relocation to shared lodgings). However, their burgeoning relationship is threatened by (old flames / intrigues at their workplace / the fact they’ve switched bodies / their removal to a different time period), and by the fact that Janet is (already married / a celebrity / impersonating someone else / on the run from the police / diagnosed with only three months to live / on an undercover mission / pick one from the next list) and that John is (leaving the country / in love with someone else / supposed to defend the world from attacking aliens / pick one from the previous list). Nor is anyone expecting the sudden mid-season appearance of (an old flame / a long-lost relative / an ultimatum that could ruin their careers). They must also deal with a dark secret, because one of them is (also married / still getting over the death of a loved one / a parent / suppressing the memories of a terrible trauma / actually a ghost / hell-bent on revenge against the other’s father). Luckily, they grow closer thanks to an incident involving (zany friends / a talking dog / someone’s parent / a wacky DJ) and the fact that they are forced to cooperate on (rearing a child or children / chasing a story / an arrest / saving the planet). Though the story appears to resolve itself, a surprise twist involving (another murder / a revelation about the boss / a sudden hospitalisation) leads to a last-minute reunion at (Narita airport / a wedding / a sports meet / the hospital). 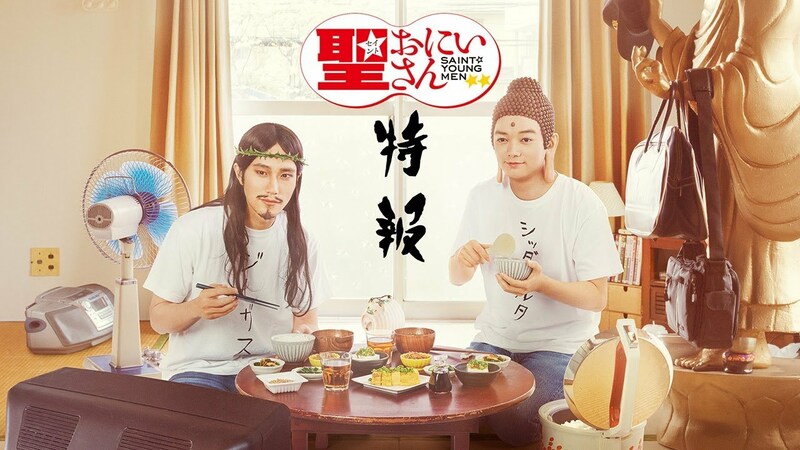 And everybody lives happily ever after, including two supporting cast members who have unexpectedly fallen in love, unless there is a second season, in which case at least one of the leads will (turn up with an unexpected spouse / change jobs / lose their memory).